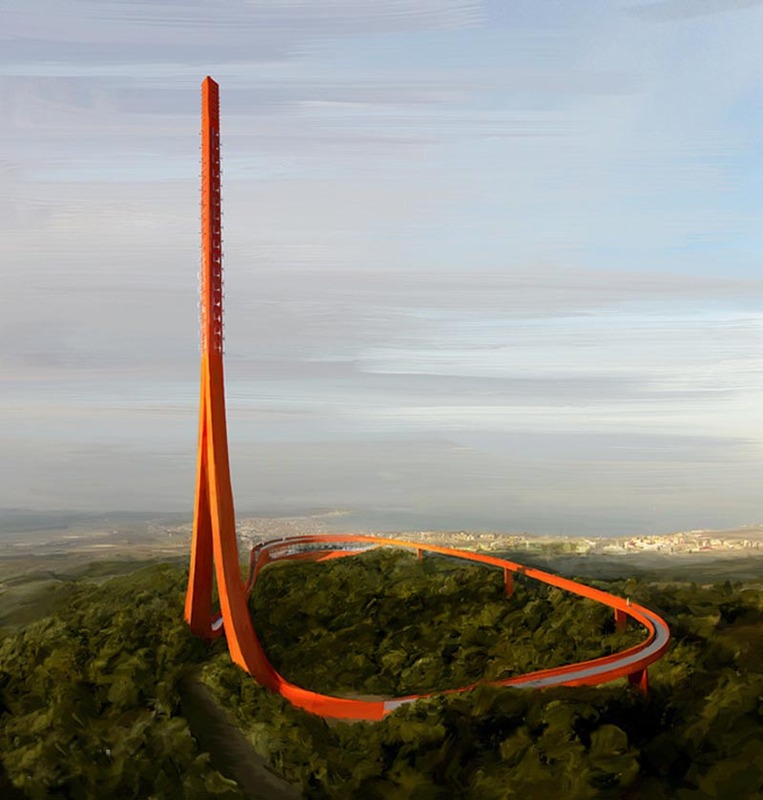 At first glance, the winning design for a 100-meter-tall observation and broadcast tower set to be built in the city of Canakkale—on the northern part of the Aegean coast of Turkey—looks like the latest in cutting edge amusement park rides. Upon a closer look, the strikingly dramatic sweeping structure is a clever solution to the challenges of combining technological requirements of a broadcasting tower with recreational ones of a public space. The two Rotterdam-based architecture firms that formed the winning team, Inter.National.Design (IND) and Powerhouse Company, united all the functions and requirements in a single strong structure. 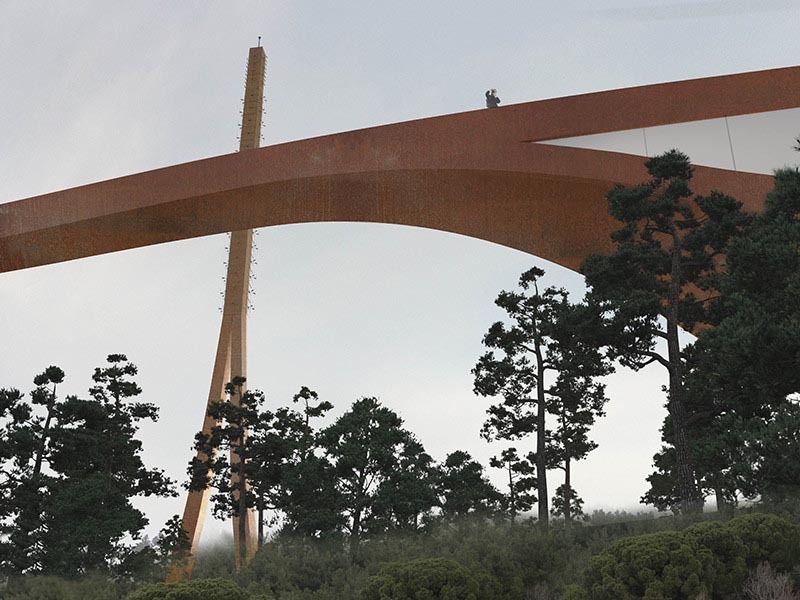 Made of Cor-Ten steel, the looping design offers close-up panoramic views on all sides of both the city and forest as well as a visitor center that hovers above the trees before shooting off into the sky into antenna-mode. A future iconic landmark for sure.